In the realm of A/E/C business development and marketing, many of us are wearing multiple hats. The best business development professionals are well-connected and positioned, have identified their firm’s unique value proposition, and most importantly can navigate client and partner relationships to build the trust essential to winning work. On the flip side, marketing and proposal teams (sometimes these are the same BD folks) are working behind the scenes to tell a compelling story about why their firm is the best for the project. 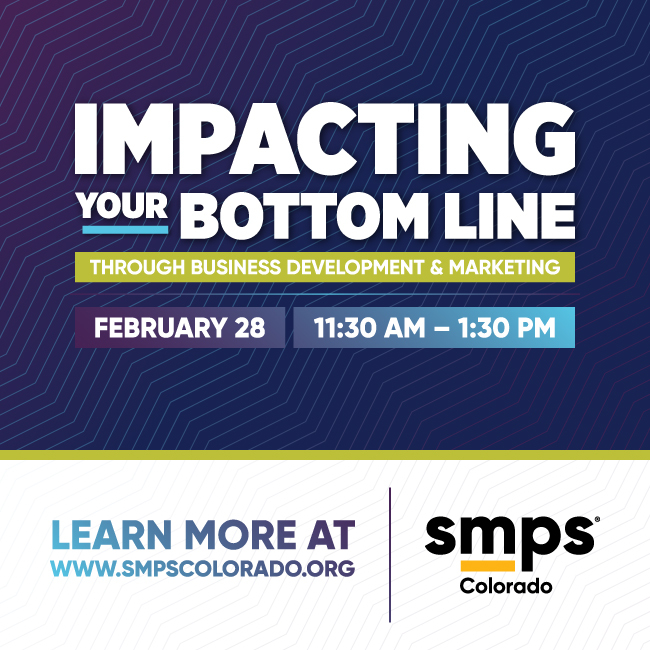 Join us in February for a candid conversation about how both business development and marketing teams impact the bottom line, how to best position yourself and prove your value to the firm. We will discuss financial metrics and measurable tools, altering the perceptions of billable vs. unbillable hours, selling your skill sets and more! 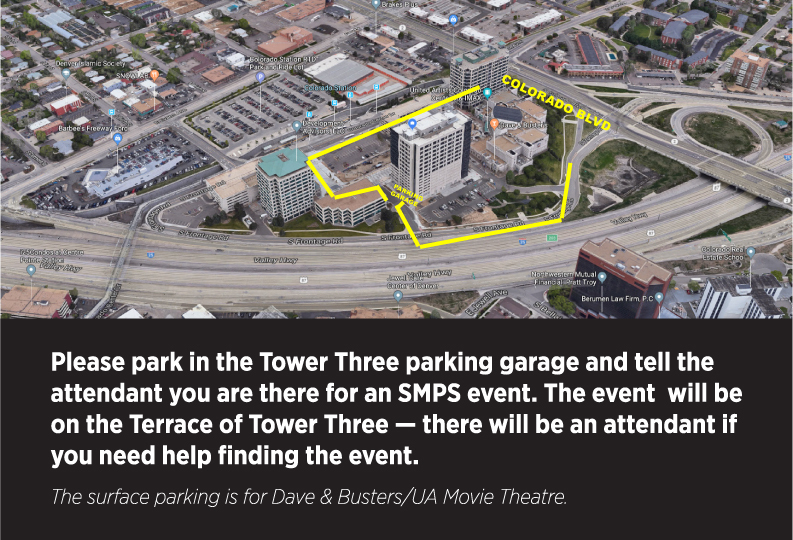 Note: Only SMPS Colorado Members may register at member pricing. John serves as the JE Dunn Construction Company’s Regional Director of Business Development, overseeing business development activities in JE Dunn’s West Region with offices in Denver, Portland, Phoenix and Colorado Springs. John joined JE Dunn in March 2017 after spending virtually his entire career at Martin/Martin, Inc., a Colorado based civil and structural engineering firm. A Colorado native, John Received his B.S. in Civil Engineering from Colorado State University and is a registered engineer in the state of Colorado. 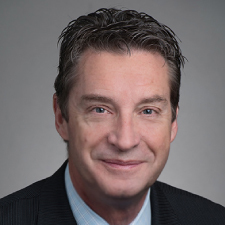 Merrick welcomed our new CFO, Steven Betts in June of 2018. Steve brings significant AEC industry experience in accounting and reporting, strategic planning, M&A, and corporate finance. Prior to joining Merrick, Steve was global finance director for the environment and nuclear division of CH2MHill, and a division CFO with Shaw Group. 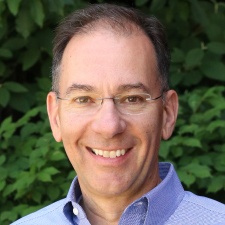 He currently serves on the Board of Directors for Farm Credit of Southern Colorado and the Board of Advisors for Phiston Technologies, Inc. Steve is a graduate of the University of Denver and is a member of the American Institute of CPAs and the Colorado Society of CPAs. As a Principal and Owner at 4240 Architecture, Michele’s roles are diverse, but remain true to her roots focused on securing work through effective marketing and business development efforts. Her experience spans numerous project types including hospitality, multi-family, senior housing, commercial office, government, and higher ed in locations as far at Hong Kong and project costs up to $500+M. Michele uses analytics and qualitative inputs to inform pursuits and weigh opportunities for the sustained heath of the firm. She’s passionate about the advancement of marketing and business development practices in the industry and serves on numerous boards to continue to pay-it-forward. 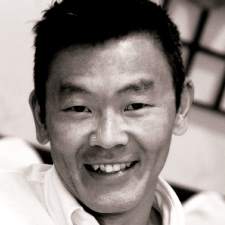 Chin joined Boulder Associates in 2008 after a long and winding road that included stints at Davis Partnership, a couple of ad agencies, design shops, and for a while, as a chef. His focus is on development of long-term strategy for client relationships and firm growth through a deep understanding of the business and regulatory drivers of the healthcare market. He believes in flat organizations, social sciences, heuristics, and not taking work too seriously. He is a CU-Boulder graduate from the School of Journalism and Mass Communication. 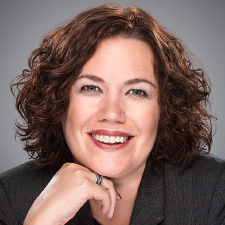 Melanie Tucker is the Region Finance Director for the West Region of JE Dunn Construction. She is primarily responsible for budgeting and forecasting for the region, working with operations to drive financial results, and participating in strategic planning and decision-making. Prior to joining JE Dunn, Melanie was a Director/Shareholder in the national accounting firm of CBIZ and Mayer Hoffman McCann P.C. During her time in public accounting, she focused her time assisting clients in the construction industry with financial and tax issues and led the Construction Practice Group of the Kansas City office of the firm. 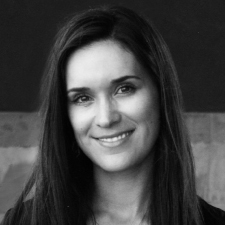 Melanie is also a Lecturer at the University of Colorado – Denver and teaches a senior/graduate level course each Spring. She also as Treasurer on the board of Youth Volunteer Corps, which provides quality team-based youth service opportunities in dozens of communities across the U.S and Canada.